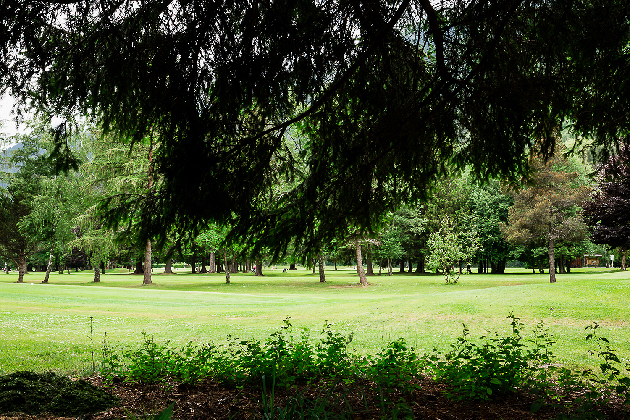 This chalet sits in a lovely location on a quiet road running along the golf course in the heart of the valley with a large and very private garden containing huge decking, large sunken jacuzzi, and plenty of great garden furniture. 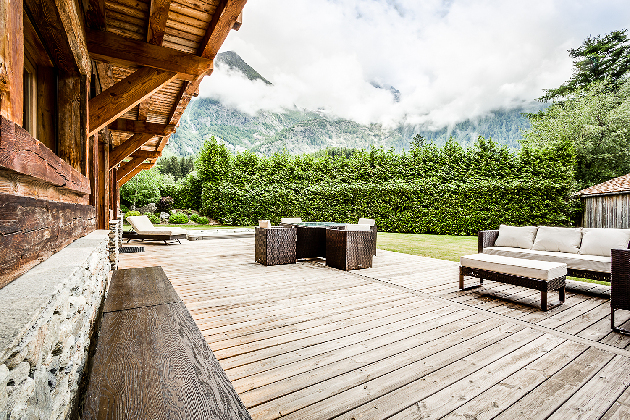 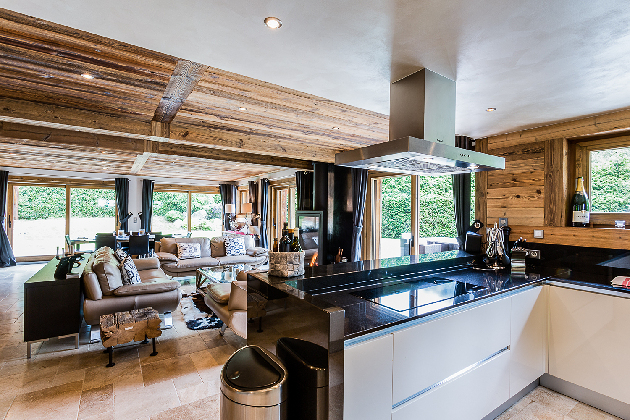 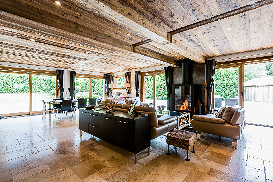 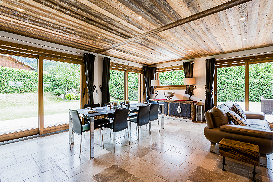 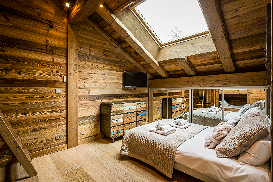 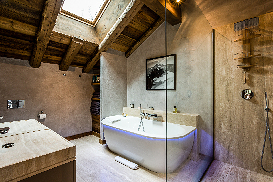 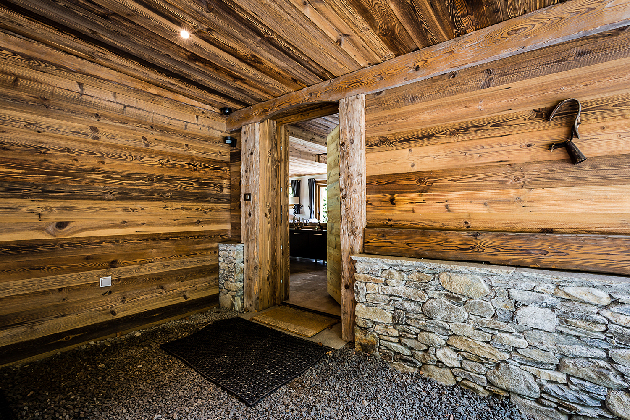 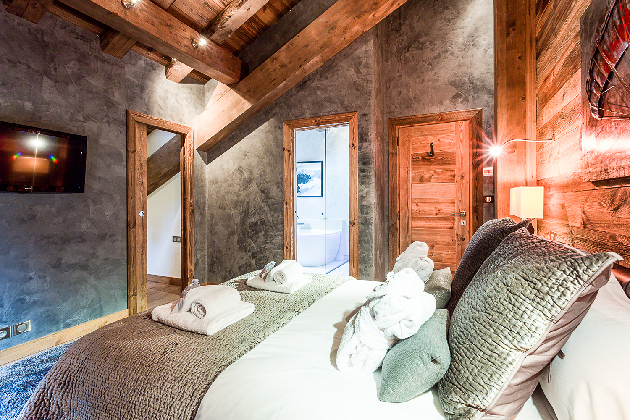 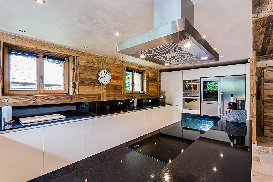 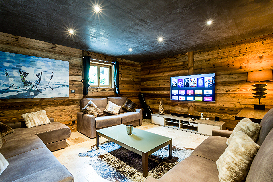 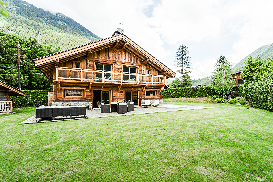 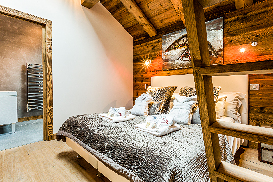 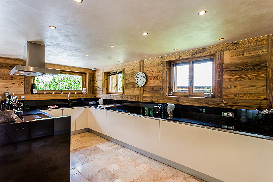 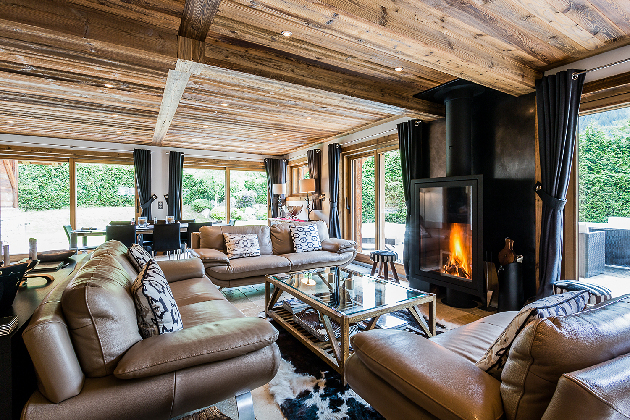 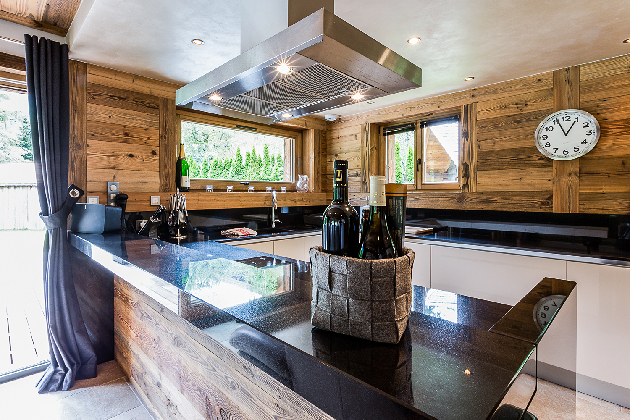 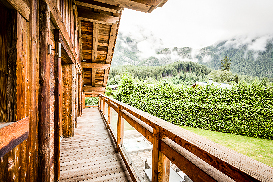 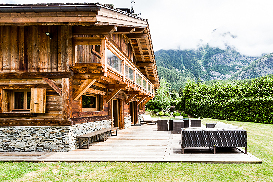 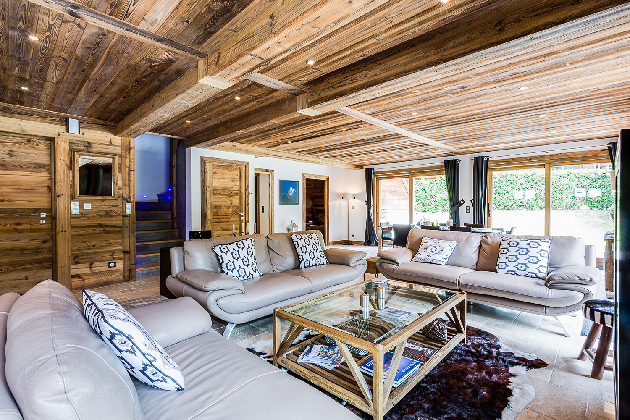 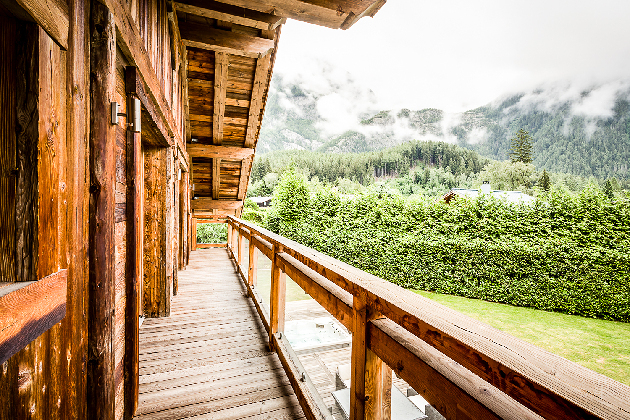 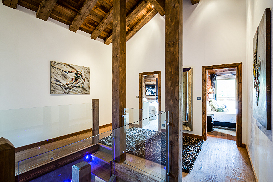 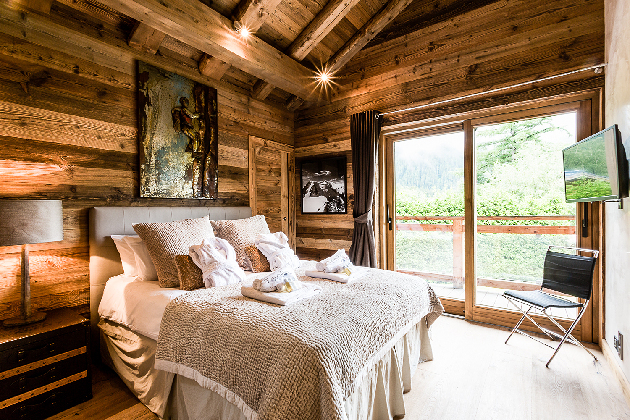 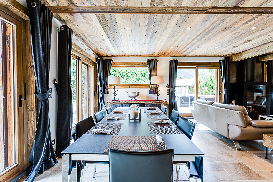 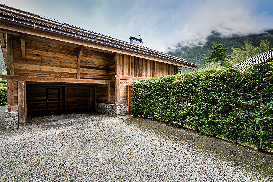 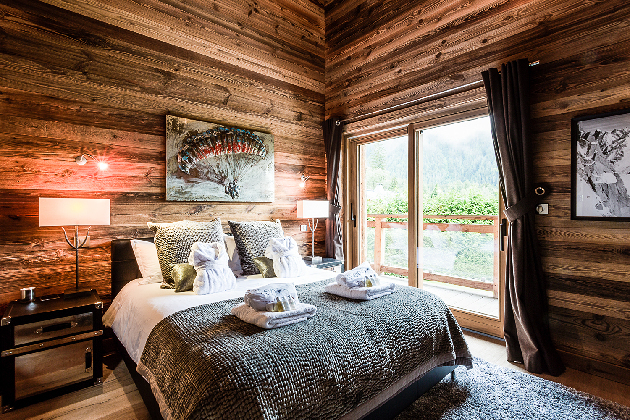 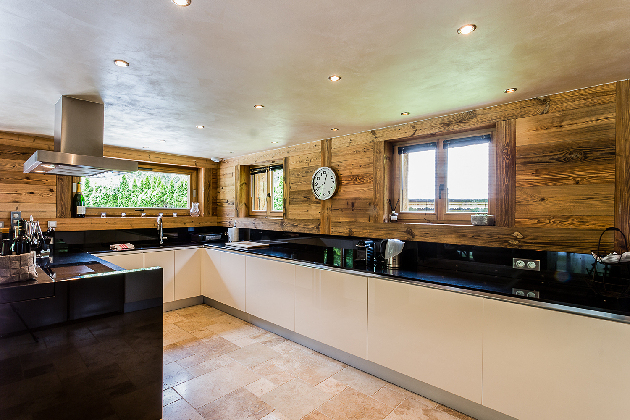 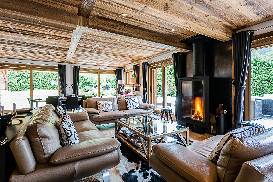 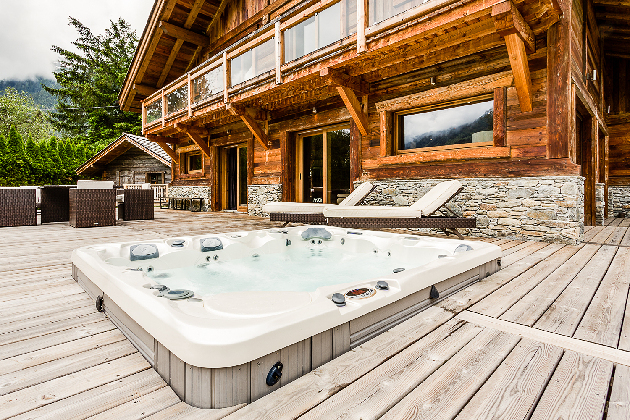 A superb chalet with stunning views in both Summer and Winter. 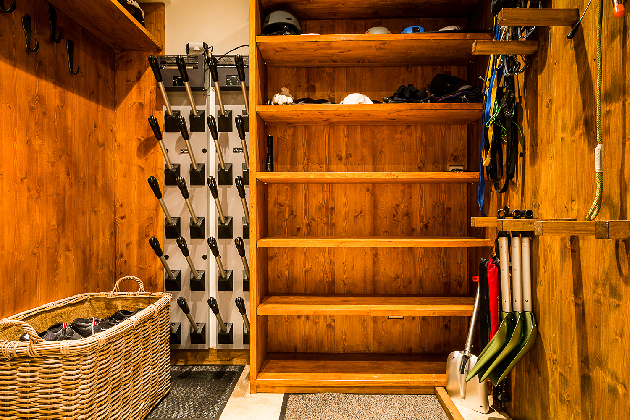 The entire ground floor is dedicated to living space with large open plan design, comprising of a great kitchen, lovely dining and super lounge area with a cosy and stylish central fireplace, seperate TV room , boot/ski room with heated racks and laundry. 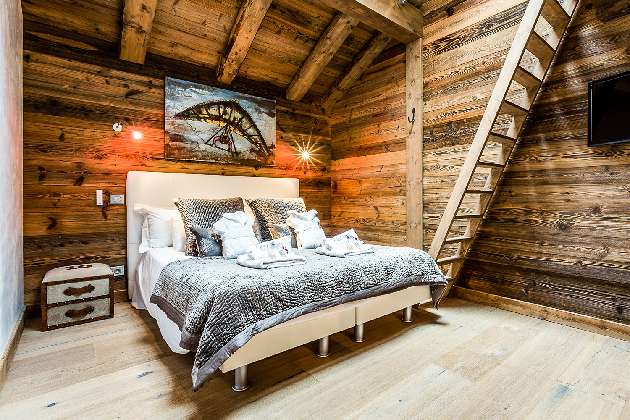 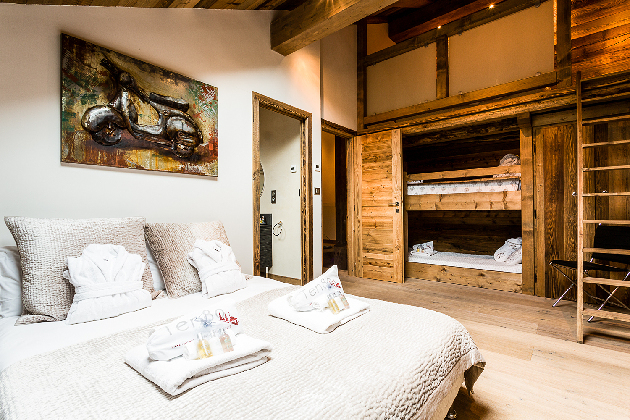 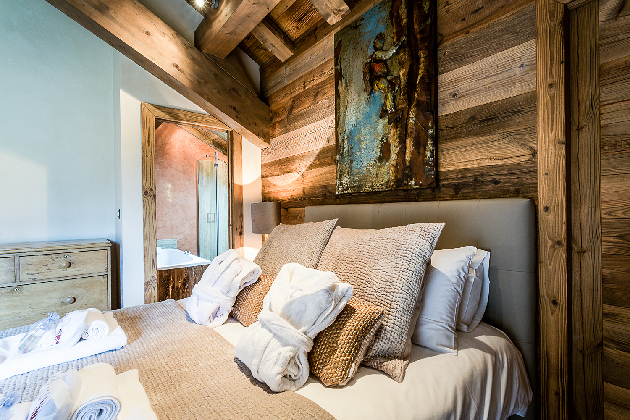 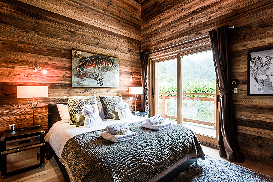 The upstairs has a spacious central landing on one side there are two master bedrooms both en suite and with dressing rooms and balconies and views of the Mont Blanc. The other two bedrooms are family rooms both en suite one with two bunks in addition to the double bed; the other with double bed and a spacious mezzanine that 2 kids would love. 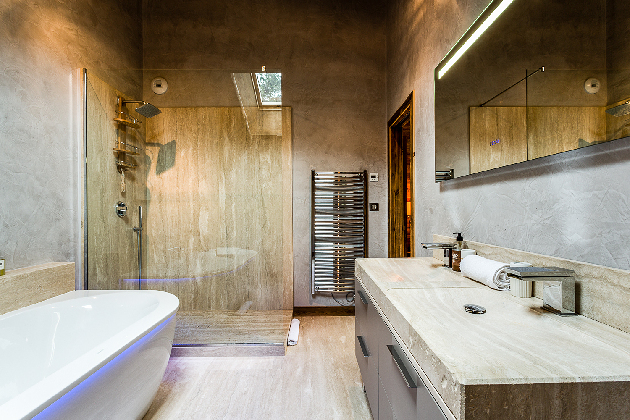 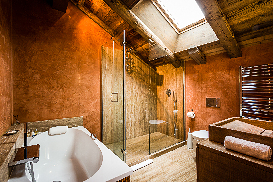 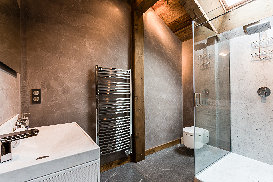 The bathrooms, featuures and decor are all fun,mountain and of excellent quality and taste. There is zonal underfloor heating throughout and also parking for 4+ cars. 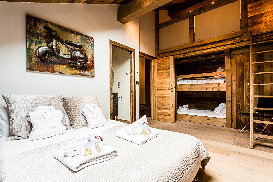 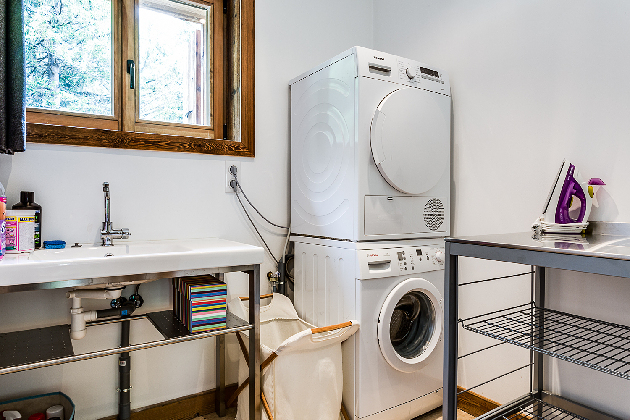 double en suite bedroom, familly room equipped with 1 double bed, single bunk beds, additional bed in mezzanine, another familly room with double bed and mezzanine. 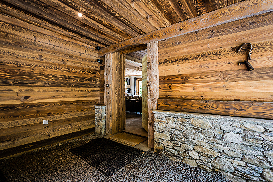 Click for Prices and Availability for Chalet Hiddenite now. 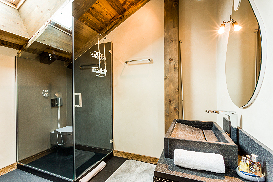 During your stay, 1 housekeeping visit is included for your additional comfort. 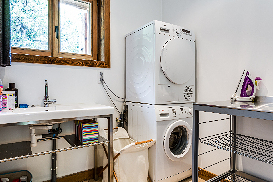 The end-of-stay cleaning is also included. 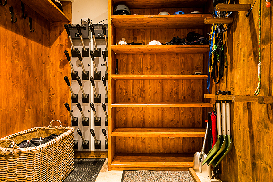 We are here to organize all services that make a difference.